As you may know, I was quite ill towards the end of the last week and was entertained by CSI and a stack of magazines. 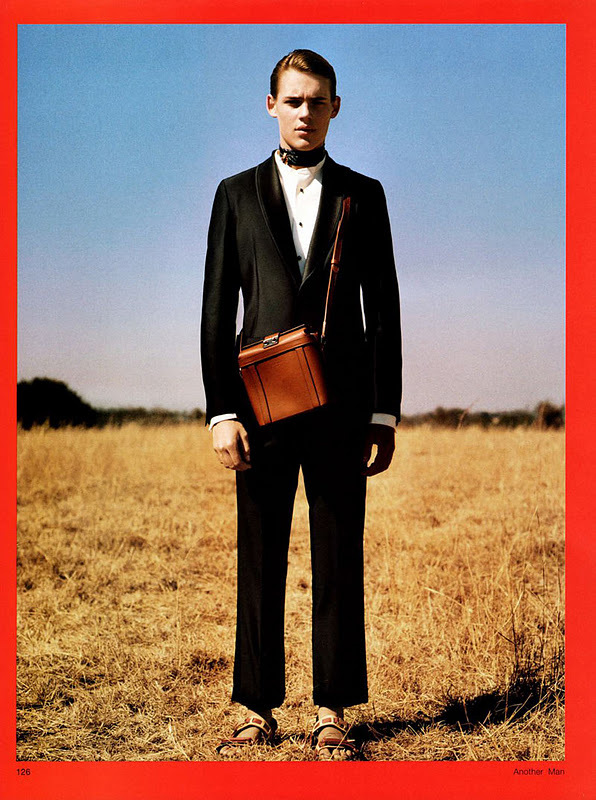 One of those, Another Man, had this stunning spread of Kim Jones first collection (SS12) for Louis Vuitton. 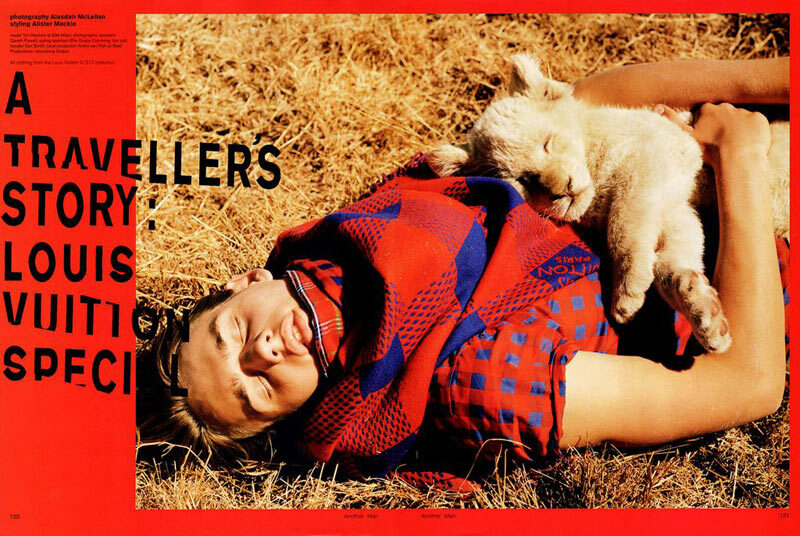 The shoot references Kim’s upbringing and love of Africa in a Born Free sort of way of set by the incredibly desirable blue and red checked scarfs. 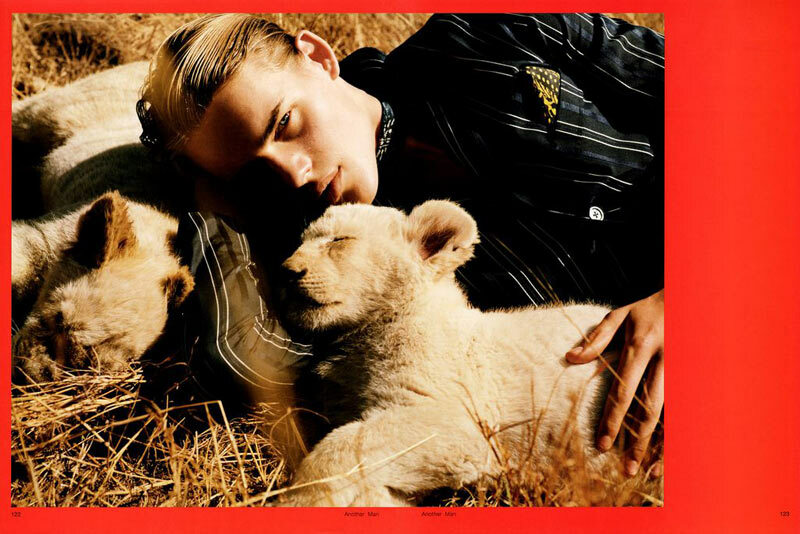 With this, there was a nod to the explorer trend that we saw on the catwalk – which will develop on the high street – and also the travel heritage of Vuitton’s history. 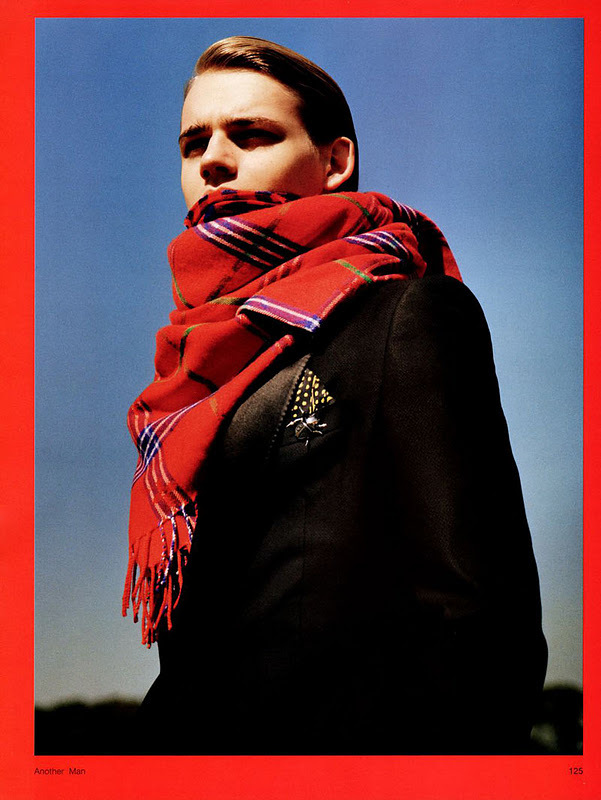 This great shoot shoot was photographed by Alasdair McLellan and styled by the often unrivaled Alister Mackie.